Review: Moto X Force – Is the force strong with this one? Since going from the reliable and trustworthy hands of Google to the Chinese superpower that is Lenovo, Motorola has released a few phones. However, you wouldn’t be blamed if you thought not much has changed. In fact, everyone’s favourite budget option, the Moto G has retained its budget values and reliability. 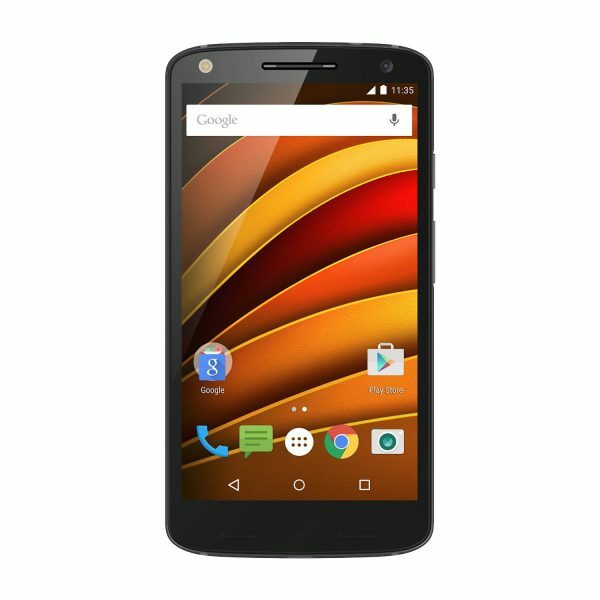 However, soon after the Moto X Play and Style were announced last year, a new player dropped on the market, called the Moto X Force. With specs not that far from the Moto X series, this phone is Motorola’s equivalent to the Samsung Active Series. Same old specs, some tweaks, and whole lot of physical reliability. The Moto X Force offers a shatter proof screen, a tough body that is ready to be knocked around, and a QHD screen, all packaged with high processing power and a 21MP camera. In true Motorola tradition, it is water repellent as well. But is the Force strong with this one, or was it just timed to come out at the same time as everyone’s favourite Star Wars movie? Read on and find out! Runs on almost Vanilla Android, our version had Android 6.0 installed with December’s security patch. Whether you get this phone for its ability to defy breaking or not, you have to admit that the phone definitely feels solid in your hand. 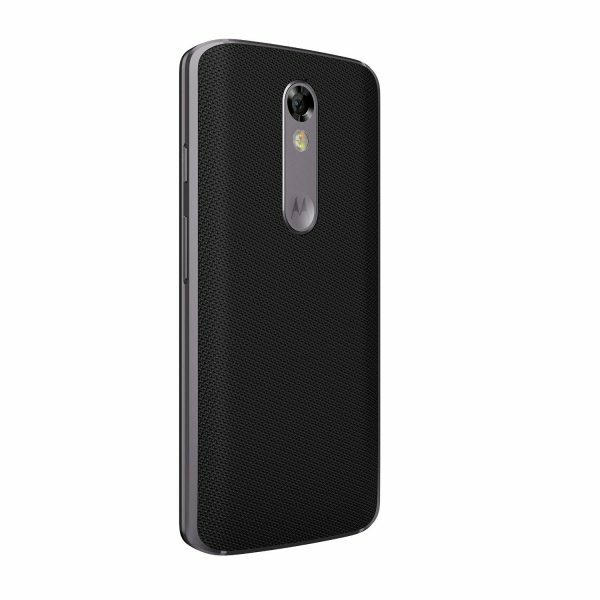 A bit on the heavier side, and a bit on the wide side, it features a non grip mesh effect back that is not that different from your usual Moto X series. The front features the screen, an actual flash for the front camera, and of course the front camera. It also includes a couple of small speakers at the bottom. In all honesty, it looks very vanilla, and very typical Android. Yeah the earphone grill (if you call it that) is a nice feature that differentiates it, but apart from the flash, there isn’t much to the looks. The SIM and the headphone socket are located on the top, while it charges from the bottom. The power and volume keys can be found on the right side like most Androids. The back has more of a premium feel to it, making it look more like a flagship. Non slip, high grip, with the usual ‘M’ bump just below the camera, it looks and feels rather nice. You also have a dual colour flash, and interestingly, no fingerprint sensor. Okay, I will be honest. I abused this phone a little. I had to. It cried out to be. It wanted me to. It made me drop it from the table. It made me accidentally slip it out of my pocket while I walked on the road. It even told me to drop it in a pint, but I drew the line there. Did the phone survive? Yes. Did the screen shatter? No. Did it come away with no signs of abuse? Umm. No. Yeah, the screen won’t be cracked or shattered, but the phone can be scratched, and the back can be cut. In fact my sample had already had a bit of ‘nip’ on it when it got to me. The phone features a QHD display, which makes it quite a high pixel display. However, since it runs on vanilla Android, it doesn’t feature anything like dual screen setup, or having multiple apps on the go. However, you are welcome to play high resolution videos or look at high MP pictures. I found the colour tones a bit off, but that could just be me and the light around me. It does work rather well in outdoor light though. Speaking of outdoor light, that is what you need for the camera to work well. For a flagship phone, the camera was bit of a disappointment. It wasn’t bad, but it didn’t particularly impress either. It worked great in good lighting, but struggled in bad conditions. On the other hand, the fast processor and RAM ensures that all clicks are instant. Part of what made the camera experience dull was probably the Android native camera app, so if you want this phone, and are into photography, I’d suggest trying some third party camera apps. The front camera interestingly offers a flash light though, something I haven’t seen since the Honor 7. Nice touch, but once again, the app let it down. This was definitely one of the areas I cannot fault this phone. It worked, and it worked well. No lags, no delays. Everything happened and loaded well and quick. Battery life was also impressive. While the 48 hour usage stat is a stretch for people like me, it easily went through the day without me feeling any battery anxiety. Motorola have done well when it comes to software, and by that I mean they give you vanilla Android, and add a few things on top. Motorola gives you a couple of add on apps that allow tweaks, and things like torch in the drop down menu, but not much else. However, Vanilla Android doesn’t mean you get the same level of updates as the Nexus devices. The Moto X Force is working on the December Security patch of Marshmallow, while my Nexus is running on the April patch. Okay, I like discovering bugs in phones. As a reviewer, it is little victory, and also a bit annoying. With the Moto X Force, the problem I discovered was that it showed some interesting Bluetooth pairing behaviours. It would not connect to my Basis Peak, and even speakers were a struggle at times. I got around things eventually with speakers, but it was bit of a nuisance. More information on the Moto X Force can be found on the Motorola website. It generally retails for £499, but can be found on Amazon for a great discount right now. So, are we strong with the force? No. Overall the Moto X Force delivers fully on all of its promises, but has the same problem the word ‘safe’ has. It does everything it promises, but is a bit dull for a flagship phone, specially at its price. Next story Review: Moto G (3rd Gen) – Still holding the budget phone crown?